Ok, I don't know if I told you guys, but I absolutely LOVE technology!!!! I'm also the chairperson of the technology committee at my school, the technology representative for my school at the district level, and I also teach some technology PD sessions. I've also been to a lot of PD sessions this year, I really enjoyed being a facilitator at the state technology conference. Soooo.......I decided that with all of this knowledge, I mean, I really should share what I know!!! I tried to think of a really snazzy name for it, but I couldn't, so it is what it is at this point. 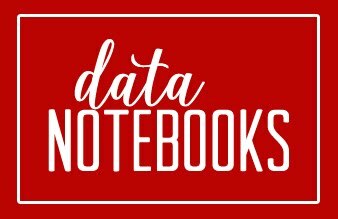 Anywhoo, I just decided to call it Oodles of Tech Tips Tuesday ( I know, a mouthful), and my goal is to share some technology tidbit every Tuesday. I hope you enjoy it, and please feel free to share any tech tips that you may have with me!! If you're anything like me, you probably have several tabs open as you try to multi-task. That's what I usually do as I'm trying to create things, check email, facebook, google reader, cnn, people.com, etc. You get the picture!!! Well, let me introduce you to RockMelt. Now, what is that? It almost sounds like a sandwich (and I'm really hungry!!). RockMelt is a browser, much like Internet Explorer, Firefox, Safari, & Opera, to name a few. The awesome thing about RockMelt, is the fact that it combines all (well, most) of your favorite things into one convenient area. Take a peek!!! Isn't this neat!!!!! I absolutely love it!! Unfortunately, I won't be able to use it at school, because you have to login with your Facebook account, and of course it is blocked at my school!!! Hmmm.....I think I'm going to try anyway, and I'll let you know what I find out!! Ok, I'll share my great news first. I passed COMPS and completed my last two classes for my Ed.S!!!! Yay!!! I'm so glad to be finished with school. I definitely think I will take an extended break this time, I feel like I've been going to school since I was 5!!!! Anywhoo, I know that I've been away for a while, I haven't looked at blogs, I haven't blogged any, I just couldn't bring myself to sit at a computer at all! However, I think that period of time is over with! I spent ALL DAY at my computer yesterday creating new stuff for my classroom!! More on that later!! I have been able to get into my classroom, so I've been going about 2 days a week for the past couple of weeks. It's like I can't help it, I've got to get a head start or I always feel so behind!! My room is decorated in polka dots and primary colors, so that's the theme I went with. I also went shopping at Target. You know what I'm talking about, the dollar spot!!! I absolutely love it!! For some reason, it will not let me correct the pictures. Well, I've corrected them, but I haven't been able to post the new, saved picture. I tell you, with all of this technology we should be able to make this happen!! I'm so sorry you had to do the pretzel move to look at these pictures! I've been thinking about using the larger containers for community supplies. I've always used individual pencil boxes, which is what I did in first grade. I quickly learned that Kindergarteners can't help but to be extremely loud with these!! They drop them on the floor, they dig around in their crayons, etc., etc.!!!!! How do you handle your supplies? Community or individual? I've created a few things, but I did a lot, so I won't put EVERYTHING here today, I'll just do a few!! Definitely had to do a morning work packet, especially something that's targeted for my kiddos, and not some meaningless worksheet. In the Alphabet Flip Book, students get to sort letter according to different fonts, because it seems like there are a million!! They definitely need to recognize their letters whenever and however they see them!! Thanks for taking the time to read my post, I know it's been a while!! Hey guys, if you haven't entered my friend Erica's giveaway, you still have a few hours to do so, go and check it out!!! Congratulations Erica on all of your lovely followers!!!! Hey guys, how ya doin?!?!?! 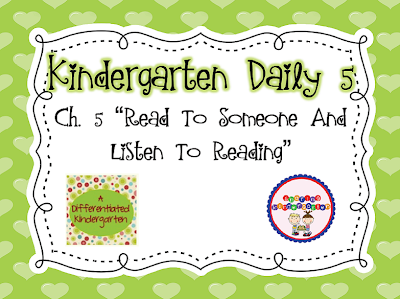 I'm linking up with Mary from Sharing Kindergarten and Marsha from A Differentiated Kindergarten for Chapter 5 of the Kindergarten Daily Five book study. These two chapters discussed reading to someone, and listening to reading. I think I have a lot of work to do on these two areas!! Here we go! As a child I always heard that practice makes perfect, but it wasn't until I became an adult that I realized how true this was. It is important that student's grow as readers, and this can be an impossible task if they do not practice. Also, there will be several children that will not have this opportunity at home, and school may be the only place where they can read to someone. 2. How can your students' EEKK? Ha!!! Definitely not bellies/backs!! Well, maybe that's something that I need to work on!! I normally have my students to sit on their bottoms. I have been wondering, what if you have an odd number of students? This can be difficult, especially with turn and share, and I've tried to do it with three students, but it can be kind of awkward. 3. 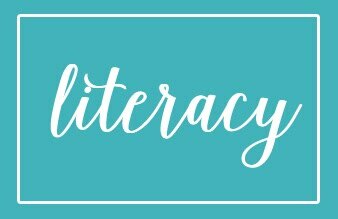 How can your students read to someone and how can you need to model these ways with your students? I definitely think that it is ok to have your students read to someone by using any of the three ways that was discussed earlier. There will definitely be students who are below grade level, and the only way that they can read the book is to read the pictures. Of course we want to wean them off of that ever so slightly, because we DO want them to be reading words. I would never want a child to feel uncomfortable, which can lead them to hating this activity. I definitely think I would incorporate that into the modeling of it. 4. What is the one thing you have done with partner reading that ensures the success of your students? One thing that I have always worked towards in my classroom is for students to not make fun of other students. For some reason, primary kids love to do this, so we definitely have lots of discussions about being nice to other children, because everyone is special, and everyone has their strengths. 1. How will you instill the importance (or urgency as the sisters call it) of 'listening to reading' in your students and especially those students who have had little 'lap time' or reading done for them in their own homes? I think read-alouds will help with that. Every child that I know tunes in when they are being read to. It definitely piques their interest. When I begin to introduce the listening center, students love that they get to do just as I have done, handling the book and turning the pages all by themselves. I think it is about slowly building and creating that love of books and reading for children. 2. What devices or strategies are you going to use to conduct listen to reading?' Will you use a community recording device with one cd and several earphones, individual cd players, tape recorders, ipod-type devices or computers? I have used a community recording device, because I used my iPod's in a separate center, but I will be getting more iPod's for the fall, so I'm definitely thinking about using some for separate listening centers. I also have a dock, to use as a community listening center. FYI, do NOT let the kiddos use the earbuds, because they will be FULL of earwax, NASTY!!!!! I bought cheap headphones at Wally World for $5 each. They have truly saved me, because I couldn't handle the nastiness!!!! I teach my kiddos from the beginning, pay attention to how to work electronic devices, because if you keep messing it up, then tough!! I am not coming to fix it! (I know, I'm a meanie!) But it works!! They know to get a book to read. I also used an idea from a friend this past year, center captains. I have a few kids that really know what is going on, and their job is to help someone who made a mistake and exited the webpage on the computer, can't get the listening center going, etc. 4. Do you have enough 'listening to reading' type materials? If not, what ideas do you have for securing these materials? Where will you store them? How will your students retrieve these items? Where will they be used (will there be a designated spot in your class for listen or reading or will it be their choice)? Well, in my old classroom I did have a designated place for listening to reading. It was a community device, but it had its place. Since the tornado, I'm in a smaller classroom, and let's just say that we did not do listening for the second half of the school year! (I know, I know, excuses, excuses!) I'm thinking of having some iPod's designated ONLY for listening to reading, and putting one and a set of headphones into some cute type of carrier. I have one long counter, and it's usually where I keep everything for centers, so that they can access it when they need to. I know that it is necessary that they stay on task, and I think I need to come up with some type of activity for them to do after listening, because this is the time when a lot of off-task behavior occurs. 6. The sisters do not really talk about this in their book, but how do you feel about listening response sheets? Will listening to reading be just for 'listening' or will there be follow-up work required of your students? If there is reading response sheets, what will they look like? I'm kind of for and against response sheets all at the same time. Coming from 1st grade, I thought it was a great way for them to display whether or not they comprehended the story, whether it was the plot, inference skills, main idea, etc. However, in Kindergarten, they are so slow to complete things, especially early on in the school year. Now, they will draw to their little hearts are content, but I don't know that it accomplishes a purpose. I think that I may need to develop follow-up activities, but I probably won't do a reader response sheet each time. For iPod's it is so easy, because you can load several stories at once, and students do not have to just listen to the one that you have chosen for them. Hey guys!! My friend Amy at The Kindergarten Center is have her 500 follower giveaway!! Congratulations Amy!! Anyhoo, you can win TONS of fantabulous items from several awesome bloggers, including yours truly!! Hmmm......I'm kind of jealous, makes me want to enter!!! Go ahead, what are you waiting for? Click on the picture for more information!!!!! Daily 5 Ch. 4 Link Up!! Hey guys! I'm linking up with Mrs. Miner over at Mrs. Miner's Kindergarten Monkey Business for the Daily Five ch. 4 link up. Check it out! I think that students need to definitely have been successful in the building stamina exercises, at least for three minutes. At first, I was thinking maybe a week and half of practicing this, maybe two, with them at their desks. However, I'm learning that I don't do enough modeling as I think I do, and I want this to work, so I don't want to move too fast with this. I think I'm really going to have to take a close look at my students, and let their behavior tell me when it's time to move on. REALISTICALLY??? It'll probably be in September or maybe even October before we can really begin to implement this, especially since there are so many other things that we have to do and cover as it pertains to routines and procedures. I think this is where the modeling of the different ways to read a book comes in. I know that I've taught this before, but never as explicit, and never at the beginning of the year. I'm searching right now for books that all children can be successful, regardless of where they are. I'm grabbing up picture rich books wherever I can find them!!!! A lot of times we have students come to us to read their books, but I don't think I've ever had a child to come up and read the book to me, choosing the way that suits them. That is one thing that I will definitely implement this year. 3) What are some ideas you have about "Launching Read to Self" in kindergarten? How will you go about it and what are some ways to make sure it is "kinder friendly"? As I stated before, I want to model, model, model like crazy!!! I definitely think this is the key. Not to the point where they can recite everything that I'm going to say, but still do the opposite when given the chance. I'm also thinking about creating some kind of award that deals with staying on task during read to self. Another thing that I really want to incorporate is allowing the student's to choose based on their interest. Sometimes we can become so focused on them reading, reading, reading, that we take the fun out of it. I'm finally allowing the REAL fun back in!!!!!! 4) How will you/do you build the children's belief that this IS important? What can we do to encourage the ones who do not value it and create disruptions for others? I think it is important to build a sense of urgency with students. One way I do this is to make real-world connections, especially with something that they like to do. I think incentives can help, but it is important to not rely too much on this, because we want to move students from extrinsic to intrinsic rewards. 5) How valuable is Checking In and Reviewing with kindergarteners? How often will you do it? When will you do it? What are some different ways to "check in"? Extremely valuable!!! No one will know how they are doing, including the teacher, if no one is checking in!!! This is a great way to also reinforce correct behavior and to correct students who are doing it inappropriately. Definitely everyday in the beginning, and less as the school year progresses. Definitely checking back in when a mini-review is needed. Students constantly playing!! Especially my little sweetie pie's who haven't been anywhere before!! I know that it says that when you notice students off task, to bring everyone back to whole group to check in and review, but what if you have a student that does this constantly?!?!? How long should you let this continue before you move this particular student? Hey guys!! What have you been up to this week? 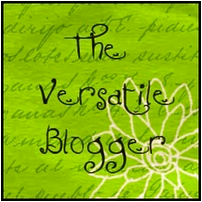 Well, first, I want to thank my friend Erica at Sprinkles to Kindergarten for sending me the versatile blogger award!!! (I know, I'm late, sorry!!) 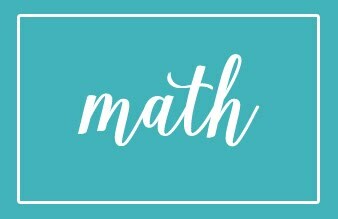 Check out Erica's blog, it's awesome!! Ok, I promise, I'm coming back later to tell you some things about myself, and to pay it forward. (I've gotta finish a paper, hehe!). Before I go, I'm linking up with Farley at Oh' Boy 4th Grade for her currently. Check it out!